FXR Racing and Bret Rasmussen have joined together to promote “FXR Mountain,”a new product line for serious mountain riders. Both parties have many years of experience and success in the snowmobile market and are excited about this new marketing partnership. FXR, a riding apparel company founded by Milt Reimer and based in Winnipeg Canada, has studied current market opportunities and is now focusing on the mountain terrain rider. FXR Mountain product has utilized product testing combined with 15 years of experience and market studies to put them right on track with this new product release. Both men and women will find extreme riding apparel with focus on waterproof breathable and rider temperature control through an exclusive radial dry vent system and multiple layering components. FXR Mountain’s exclusive radial dry vent system accomplishes two things. While controlling rider temperature, it also keeps a rider dry by keeping the snow out and letting only air in. Riders can now vent without experiencing snow ingestion. Utilizing Bret’s riding experience and quality time on the snow, spending over 150 days in the most extreme riding conditions every year, FXR Mountain aim to rally to the top of the market. Bret will be working with FXR to assure its success. Product will also be worn by clients attending Bret’s ‘Ride Rasmussen Style” clinics. Feedback from these riders, reps, dealers, racers, and Bret will be studied by the FXR Team. This information will be key to FXR’s R7D and will help to provide industry-leading product. 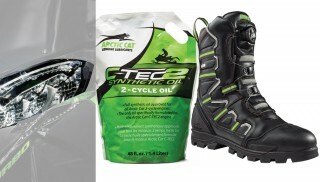 For more information visit www.fxrracing.com, or www.motivationoutdoors.com for details on products, dealers and purchases. To learn more about where Bret might be riding this year and hear his cliff notes on the FXR Mountain product, go to www.riderasmussenstyle.com.